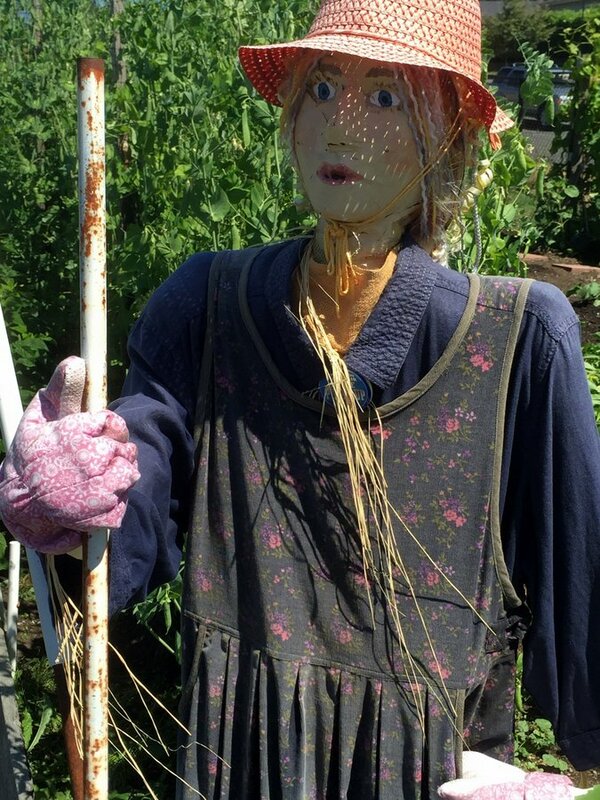 Mary and I learned how to build a scarecrow and thought you might like to learn too! 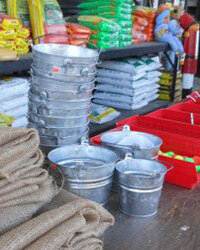 We, along with our grand kids, had lots of fun at a local garden store one Saturday afternoon. 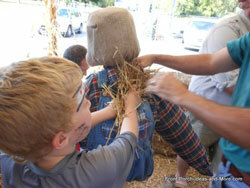 Learning how to make a scarecrow is pretty easy and fun for all ages. 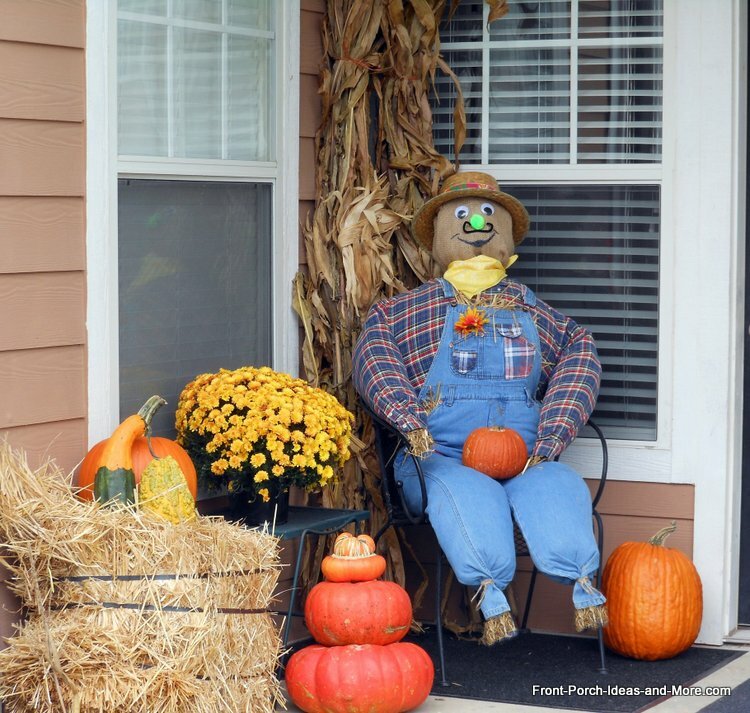 Scarecrows are ideal as fall decorating ideas and can add a festive feeling to your autumn porch. 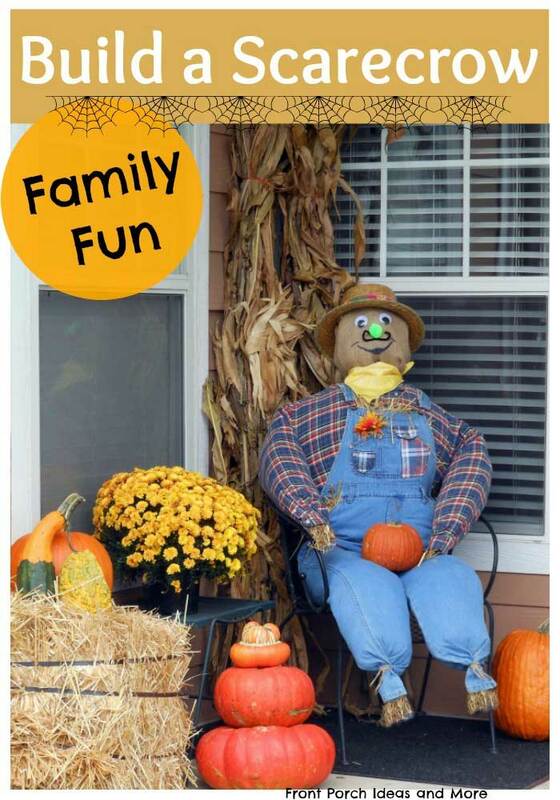 If you love family activities, this is a fun outdoor activity for a nice autumn day. 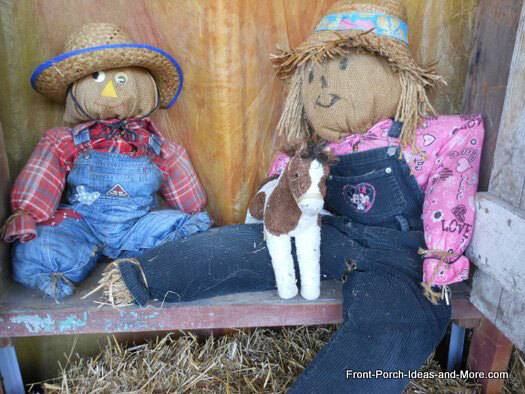 We built several scarecrows with our grandchildren. 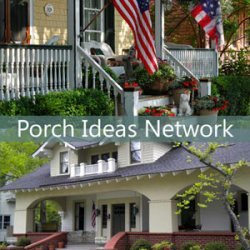 It would also be a nifty neighborhood project. 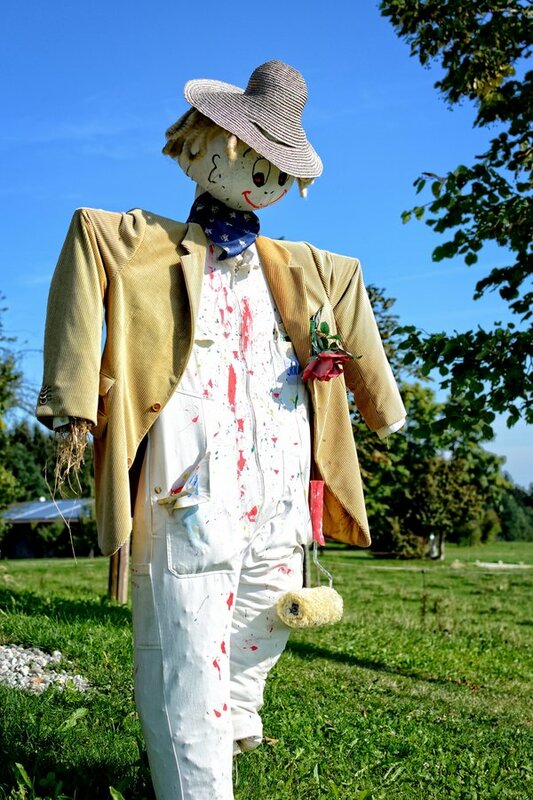 Not only will we show you how to build a scarecrow, we will also show you other scarecrow pictures to give you ideas for decorating your own scarecrow in different ways. 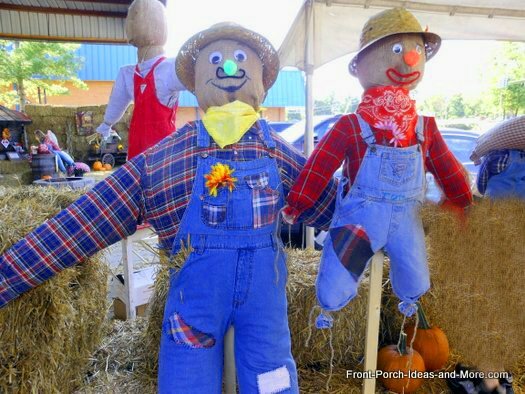 Scarecrows are easy and relatively inexpensive to make; you probably have most or all of the materials you need right in your own home. 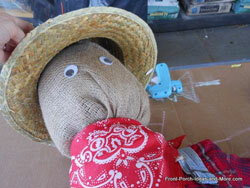 Just begin by collecting the materials you will need and let us show you how to make a scarecrow. 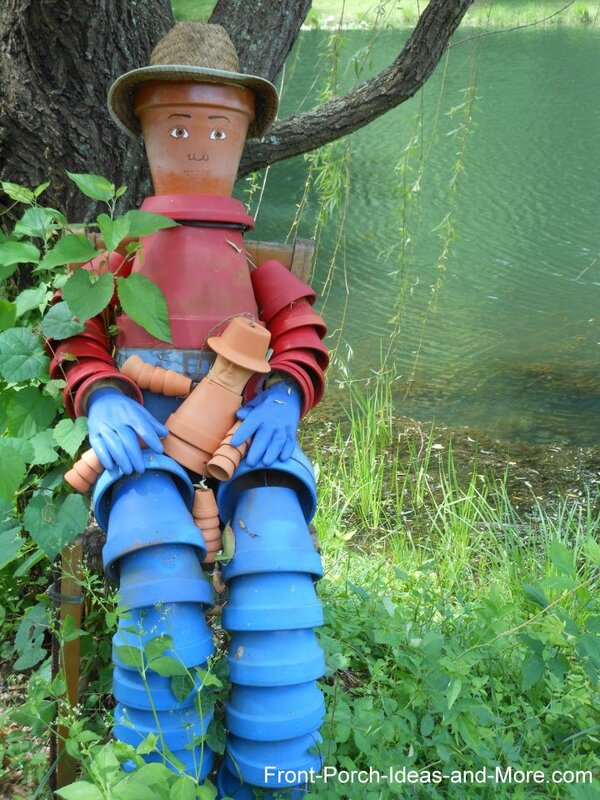 Safety first: Children should be supervised in this project. Please use the hot glue gun, scissors and tools in a safe manner. 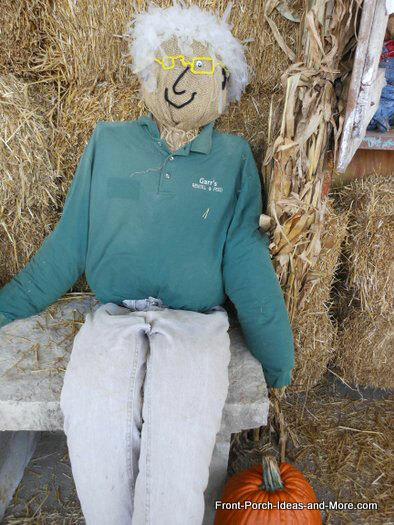 Your scarecrow will turn out differently from ours as you can personalize it however you like. 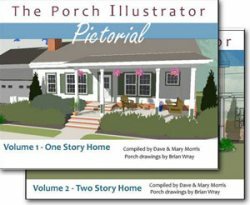 Our instructions were written with the intent to be accurate, but please use your best judgment when doing this project as we occasionally make mistakes. 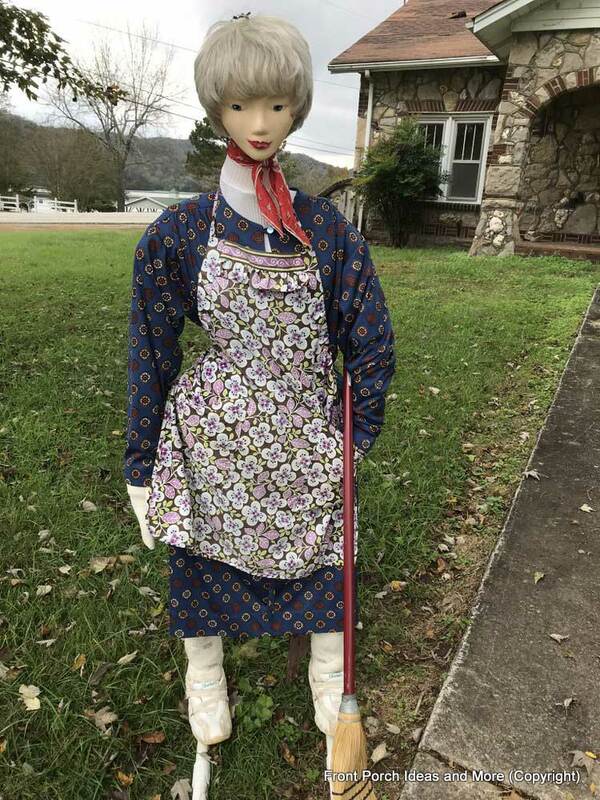 We visited Granville TN on a Saturday in October and what a treat. 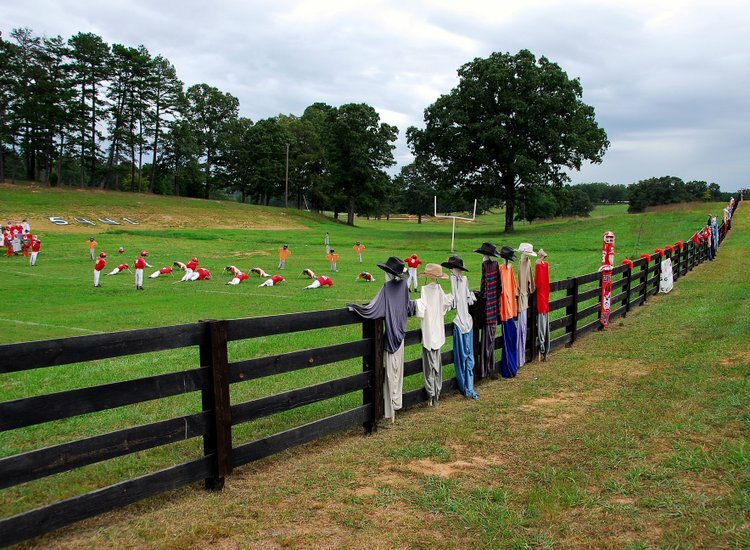 Up and down Clover Street are many, perhaps several hundred, scarecrows decorating this quaint town in Middle TN. 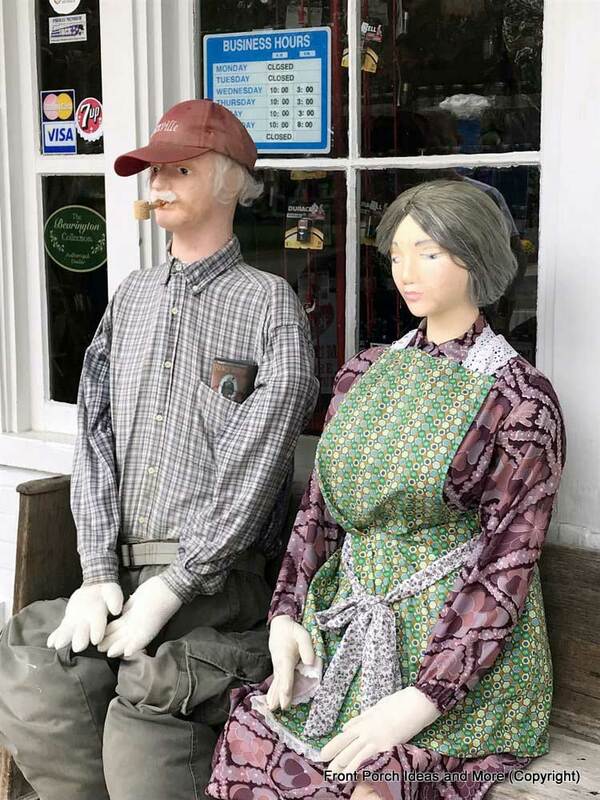 If you'd like ideas for making your scarecrow, this is a lovely place to visit in October, especially from Wednesday to Saturday, as that is when their general store/restaurant is open. 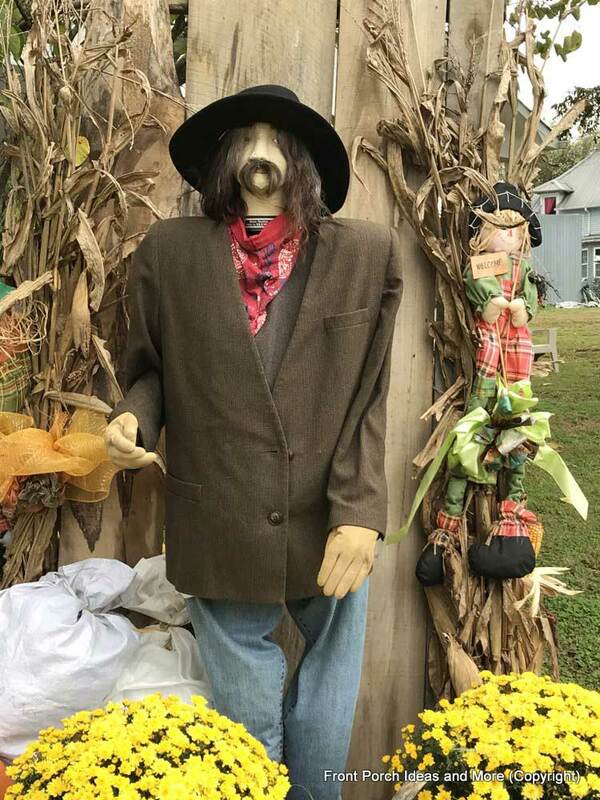 Clothes: coveralls, flannel shirt, hat, scarf. We purchased overalls and flannel shirts at Goodwill. Be prepared to search through lots of clothes to find them. 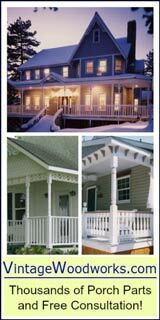 However, as you can see from our pictures below, you can use almost any pieces of clothing, from regular jeans to other clothing items as well. 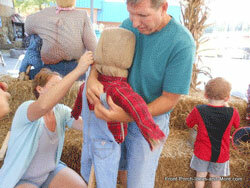 It is just a matter of securing the clothes in such a way as to hold the straw stuffing. Go crazy if you like! Decorating items: We used eyes, colorful pipe cleaners for mustache, and permanent marker to make the mouth and eye brows, and colored cotton ball for the nose. 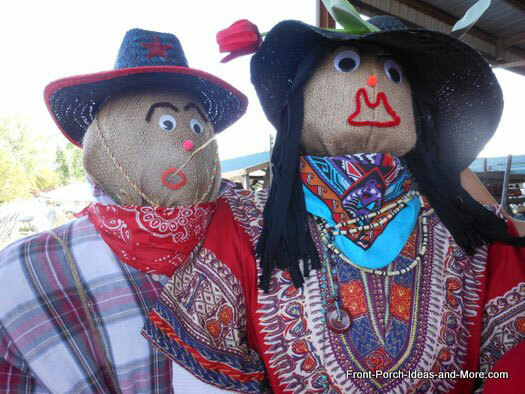 You can also use yarn for hair. 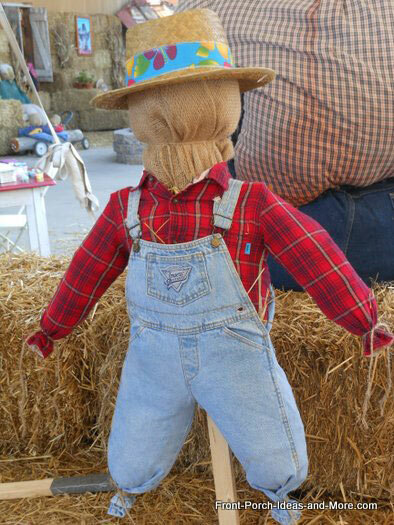 You might also like a few swatches of fabric to make "patches" on the scarecrow's overalls. They can be glued on. We used a straw hat but baseball caps work just as well, too. 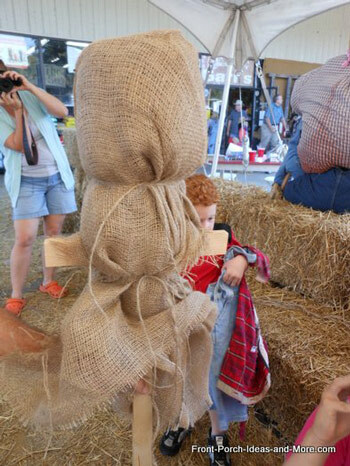 Burlap: Use at least two 3 by 3 foot pieces for the head. 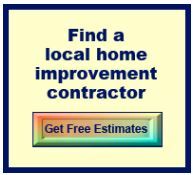 You will double them up so that they generously cover the bucket / coffee can. 1x2 wood: one piece at 60 inches (5 feet) and one at 12 inches. As you will see in step one below, you will attach the two pieces together to create the form. 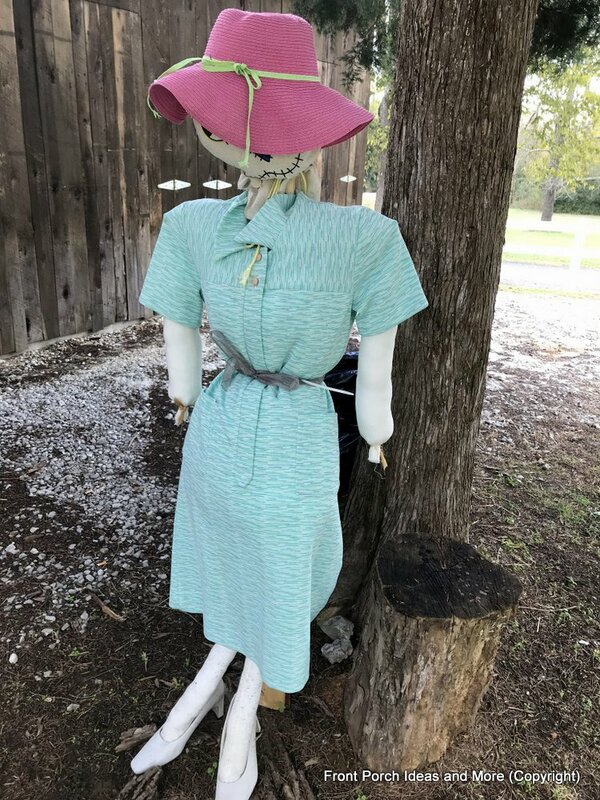 Step 1: Build scarecrow form. 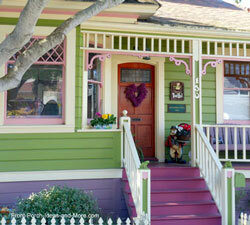 The form consists of a approximately 5 foot (60 inches) vertical 1x2 and an approximately 12 inch 1x2. Attach the 12 inch piece horizontally approximately 10 inches from the top of the 5 foot piece with two screws as shown in the photo above. 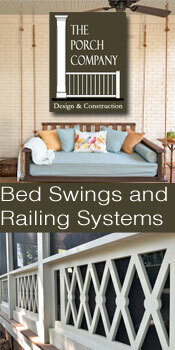 Recommend drilling pilot holes for the screws so you don't split the wood. Step 2: Place the bucket on the floor. 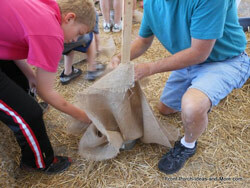 Lay the burlap over the top of the bucket; the bucket should be in the center under the burlap. 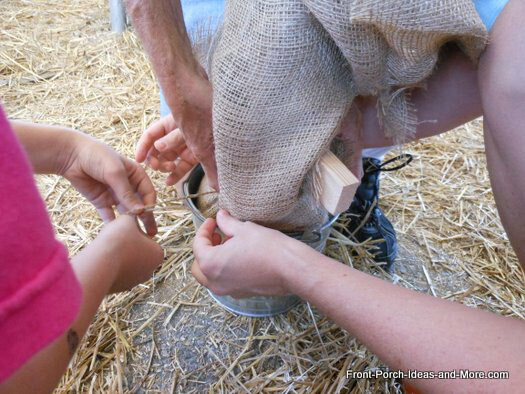 Push the burlap down into the bucket. 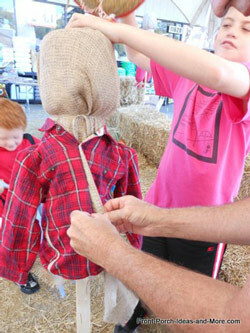 Step 3: Make the scarecrow's head. 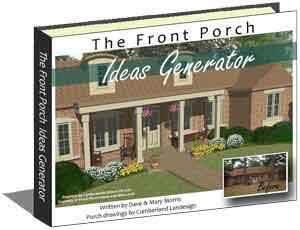 Turn your 1x2 form upside down and insert into the center of the bucket. 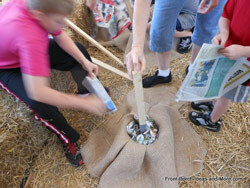 Wad individual sheets of newspaper and begin packing the bucket around your form. 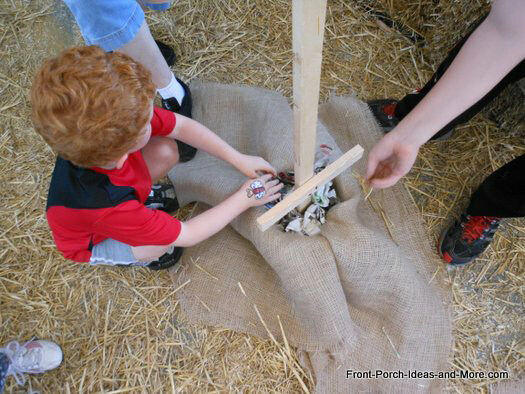 Continue adding paper until the bucket is full and tightly packed. 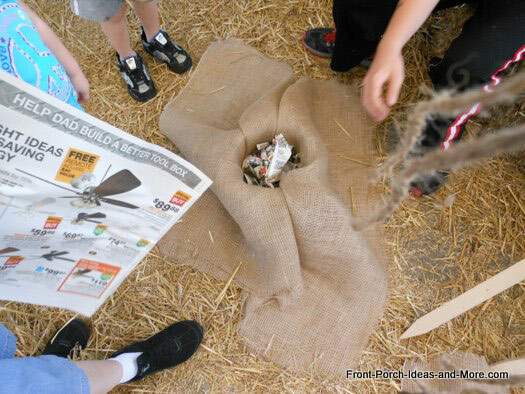 NOTE: We used another stick to help pack the paper into the bucket and also used it in place of the actual form. We replaced it with the inverted form after we packed the bucket. 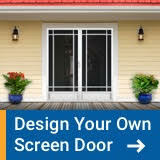 We recommend; however, that you insert the form at the beginning and use a stick to help pack paper around it. 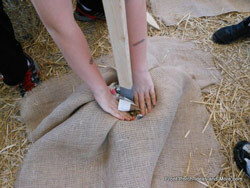 Step 4: Pull the burlap up around the form taking care not to cover the horizontal piece. 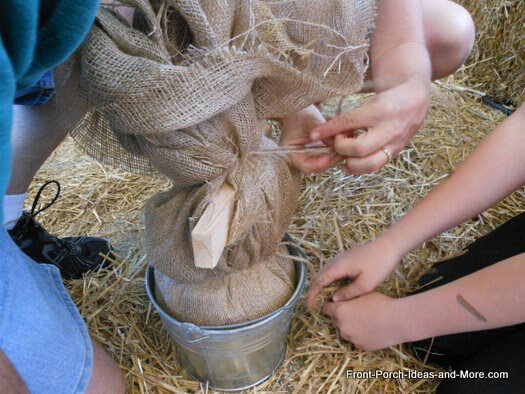 Use a piece of twine to tie the burlap just above the bucket. Tie it tight. 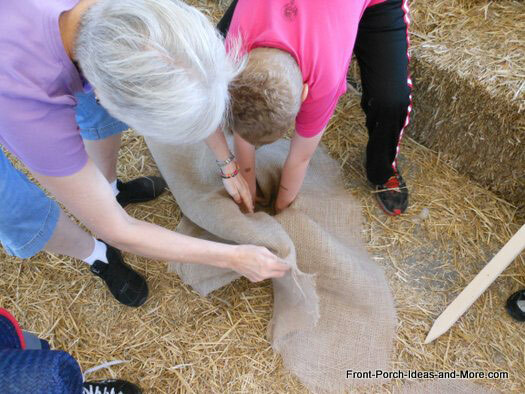 Next, gather and tie the loose burlap together just above the horizontal piece. Take care not to cover the cross piece. 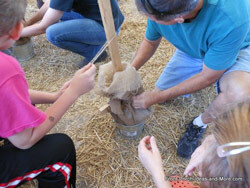 Step 5: Remove the form from the bucket and invert the form. Step 6: Place the shirt over the form and button (leave the top buttons unbuttoned). 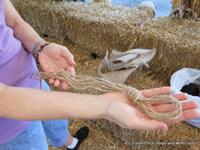 Use twine to tie the ends of the sleeves. Gather the bottom of the shirt and tie off with a piece of string. Begin filling the sleeves and remaining shirt with straw. Step 7: Place the coveralls on the form. 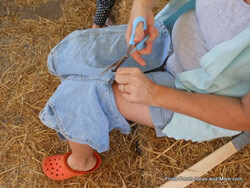 You may want to cut a hole in the crotch of the coveralls to fit over the vertical form 1x2. 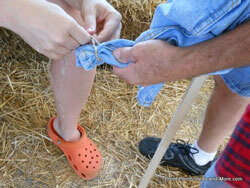 Step 8: Tie pants legs and fill the coveralls with straw. 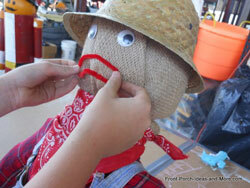 Step 9: Decorate the scarecrow head with eyes, mouth, nose, etc., using markers or other items you may have. 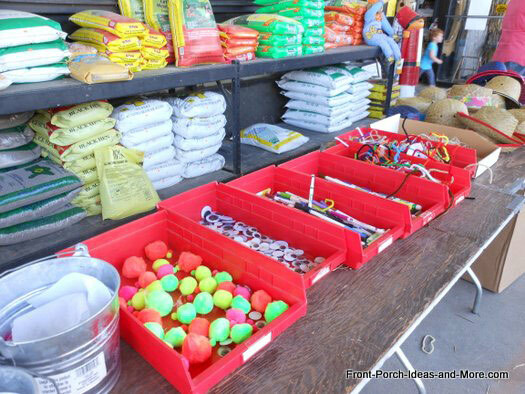 Attach items with the hot glue gun. 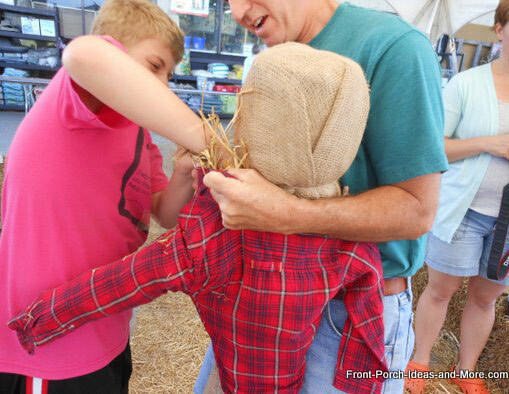 Did these simple instructions help guide you on how to build a scarecrow? We sure hope they did. 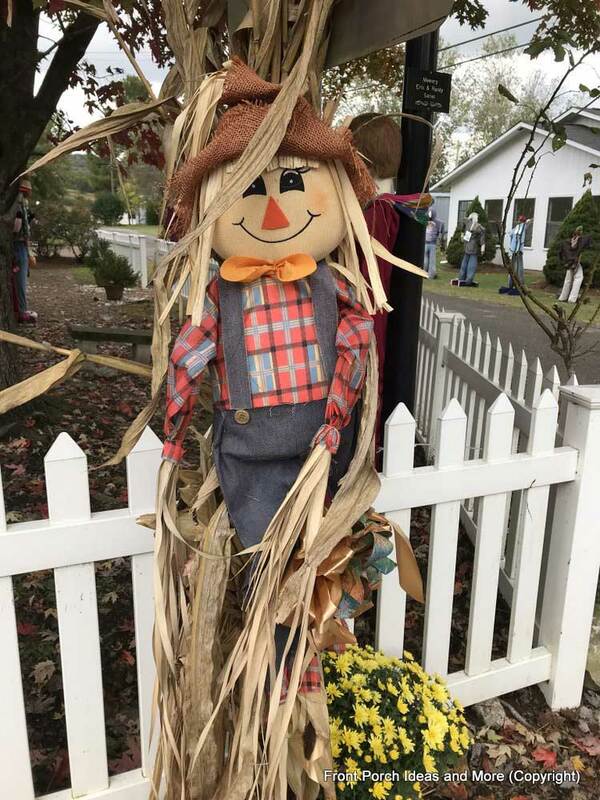 We really enjoyed learning how to build a scarecrow, so we took a few photos of other scarecrows to give you more decorating ideas for fall. We don't know exactly how this was put together, but we wanted to snap a picture of it for you as we thought it was super cute. 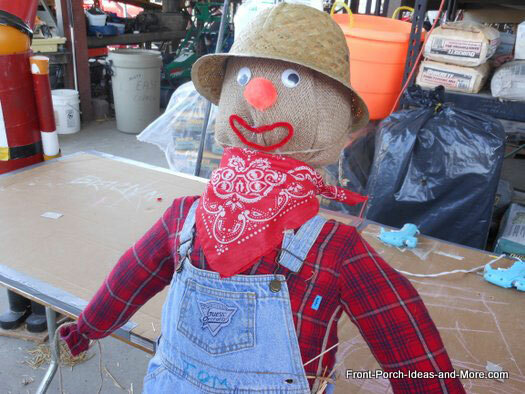 If you were wanting to learn how to build a scarecrow, we hope that our instructions plus the pictures we gathered for you, will inspire you to create something adorable. 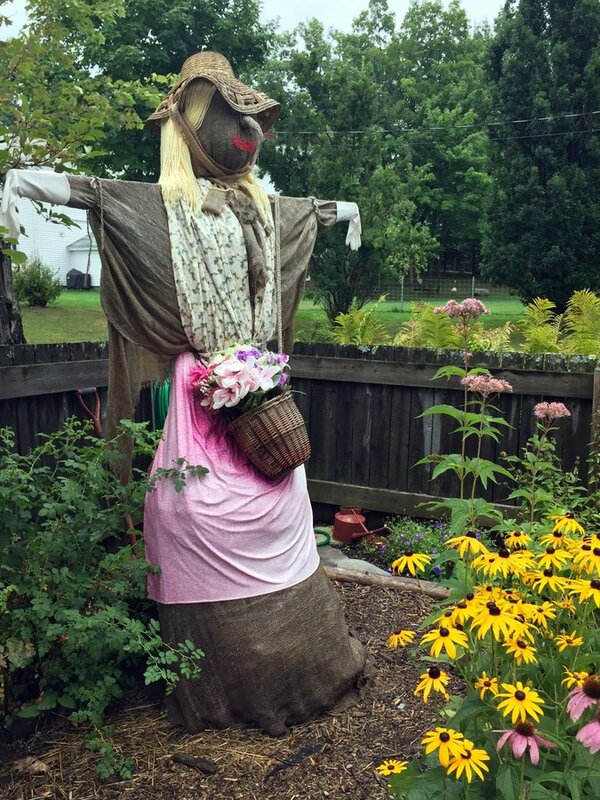 Add a scarecrow to your Halloween decor. 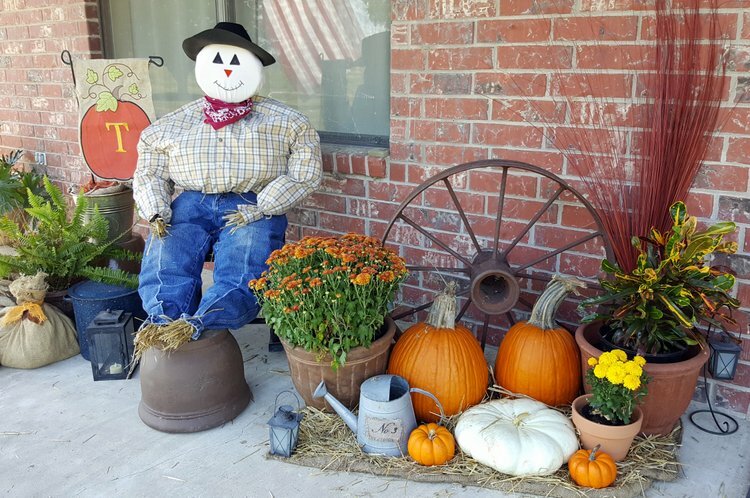 See our fantastic Halloween Porch Decorating Section - fun and spooky! 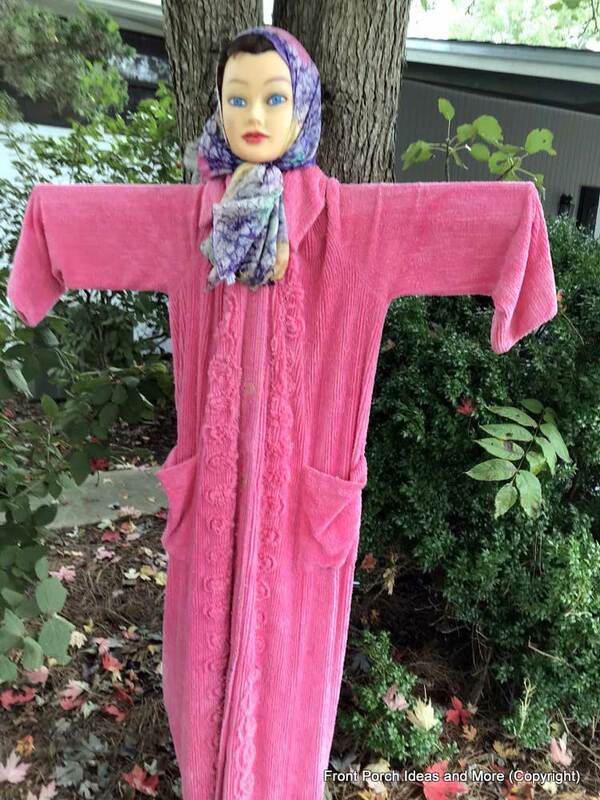 Isn't she adorable in her pink bathrobe? 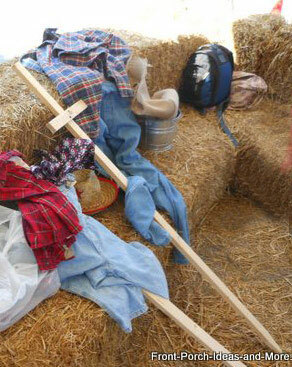 If you landed here wanting to build a scarecrow, we hope our pictures of scarecrows and instructions helped you out! 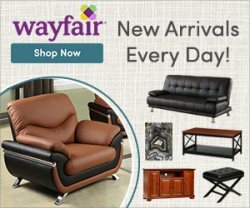 Now, please look below at other good things we have in store for you.